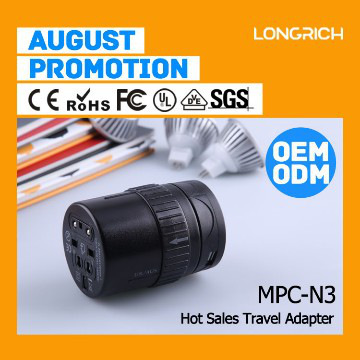 business gift,universal ac adapter product’s design source of camera. free standing battery charger Its appearance is delicate and beautiful, safe, powerful. New product free standing battery charger is a telescopic portable conversion plug. 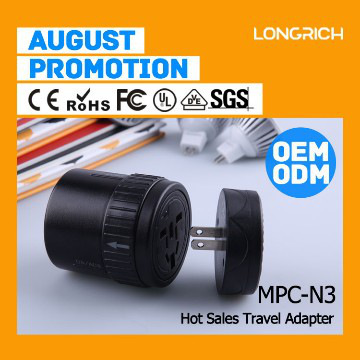 Besides, It is a set of plug and socket specifications of the world more than 150 countries and regions in one. It adds a USB cover, can fill most of the digital products, communication products. It is suitable for people with business people, young people, as a wedding gift, business gift . 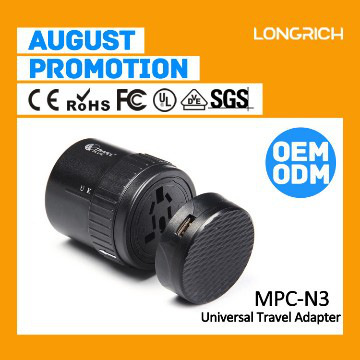 universal ac adapter for mobile photos,MP3,MP4,Bluetooth,etc .Low-voltage usb travel adapter.Hotel,office,business class,home,etc,are available. C,package design: Our Normal pack Of usb travel adapterr Is PP Bag + Small White Box . Gift Box , ylon Bag , Blister Card , power adapter OEM Packages Are Available! A Yes. We have a professional team having rich experience in universal ac adapter design and manufacturing. Just tell us your ideas and we will help to carry out your ideas into perfect usb charger adapter. It does not matter if you do not have someone to complete files. Send us high resolution images, your Logo and text and tell us how you would like to arrange them. We will send you finished files for confirmation. 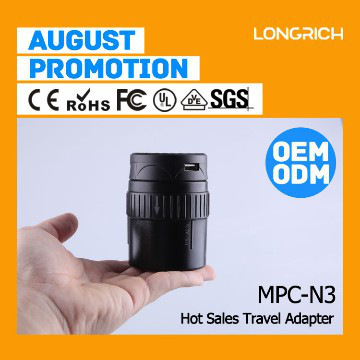 Longrich is located in Dongguan changan, It covers an area of 4000 square meters. We have 226 workers, boast a monthly capacity of 50000 pieces and defective rate within 0.02%. All of our products business gift reach international quality standards. Since establishment in 2002, we always strive on technology innovation, and have become now an industry leader with independent R&D forces , reliable quality and competitive price. Through 10 years relenting efforts and innovation, we walk in the forefront of the market with clients from over 39 countries and regions in the world. If you are looking for a long-time partner with strong R&D and quality control capability. Please contact us ! OEM & ODM orders are welcome as well. All of our products ,business gift,reach international quality standards,such as CE,LVD,EMC,RoHS and FCC,etc.moreover,our products have got the Utility Model Patent Certificate and Design Patent Certificate,etc. our products business gift have shown in lots of exhibitions.As you can see from the pictures.attend the ces fair from 2010 in USA,The 21st session of shenzhen gift show,The Hong Kong electronics fair (spring 2013 and international information technology exhibition,etc.